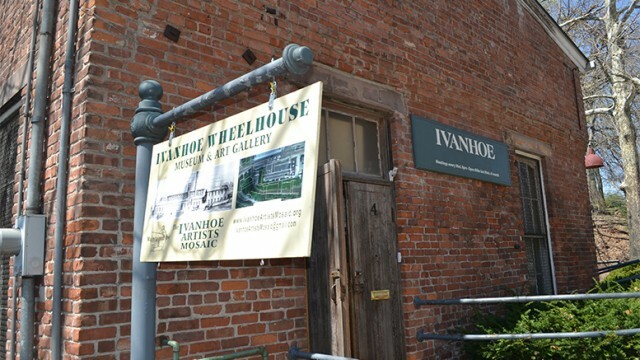 The current leadership at the Ivanhoe Wheelhouse said conflict between the current board and previous executive director came about after the board’s appointed treasurer began asking questions about the organization’s finances. RoByn Thompson, a city artist, won first place in an art contest organized by a Pennington based art museum last Wednesday, for elaborately retelling – through figurative art — the Lenape Native American legend of the Rainbow Crow. November 19, 2013 on Arts by P.T. An artist from Paterson was one of the six individuals, and the only American, to win a German art award on Monday. May 18, 2013 on Arts, Culture by P.T. Vendors and visitors and artists from all over New Jersey came to the Great Falls National Park on Saturday morning to attend the 5th annual Paterson Art Walk, an event organized and put-together by the Ivanhoe Artist’s Mosaic. April 14, 2013 on Arts, Culture, Education by P.T. March 11, 2013 on Arts, Culture by P.T. 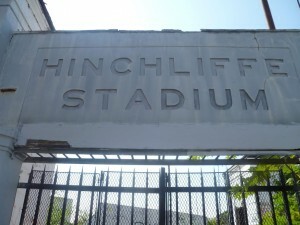 Hinchliffe Stadium which sits just behind School No 5 has been recognized by the federal government as a National Historic Landmark, according to the Department of Interior. 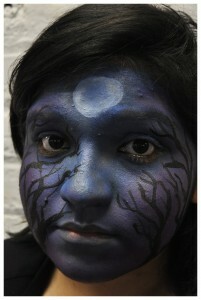 September 16, 2012 on Arts, Culture by P.T.